Remember when Obama asked Congress to authorize military action against Syria? Remember when that failed miserably, but the US had been training and sending weapons to "Syrian rebels" anyways? Remember when large sections broke off and pledged allegience to al-Nusra Front (Al Qaeda)? Remember when members of the group were so terrible, even Al Qaeda dismissed them and they later joined ISIS? Remember when ISIS, overnight, became the world's richest terrorist organization and wreaked havoc all over the Middle East? This time it will be different, according to the Pentagon. They will take it slow at first, only training well-vetted Syrian opposition forces of about 90 people. However, over the next three years, they plan on training, arming and even paying "stipends" to 15,000 troops. 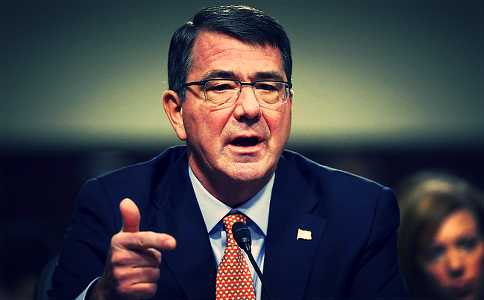 Defense Secretary Ash Carter stated, "We're starting with the people that we have that we've vetted very carefully. We expect that to be successful and therefore to grow. But you have to start somewhere, and this is where we're starting." Don't worry, as the Pentagon said, this time it's different. These forces are being trained to specifically target and counter ISIS forces and the US is not, I repeat, not at war with Syria. However, critics comment that there is really no way these "US Anti-ISIS Forces" will completely avoid the Syrian Army and fighting, whether intentional or not, will likely ensue.